Ambulance crews rushed to the scene. A cyclist injured in an accident in Belfast is in a "serious but stable" condition. It was confirmed by a spokesperson from the Belfast Trust on Tuesday night. Earlier on Tuesday paramedics attended the scene of the incident on the Antrim Road close to the Iceland supermarket. 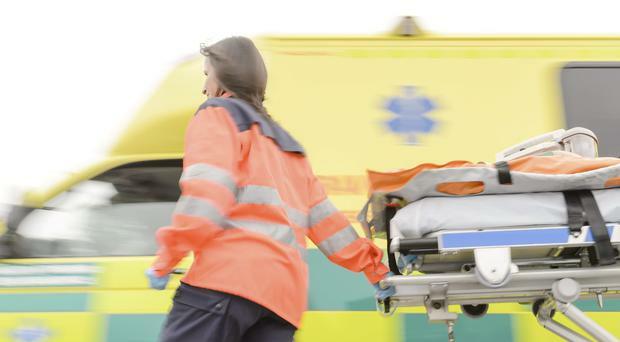 An ambulance service spokeswoman added: "The Northern Ireland Ambulance Service received a 999 call this afternoon following reports of a road traffic collision involving a cyclist on the Antrim Road, Belfast. "NIAS dispatched one Emergency Ambulance crew to the scene."